Photocopy of Dealer's Sales Invoice. If the sales invoice is under the name of immediate family member, they need to submit proof of consanguinity; photocopy of birth certificate or marriage contract. Upon validation, the said customer can avail the P10.000 cash discount and could apply either dealer outright cash discounts, bank financing and P.O. or accessory/ies within the promo period. If the claim was confirmed valid. IPC Dealer Sales Department B. will process the request for payment to IPC Accounting Department. 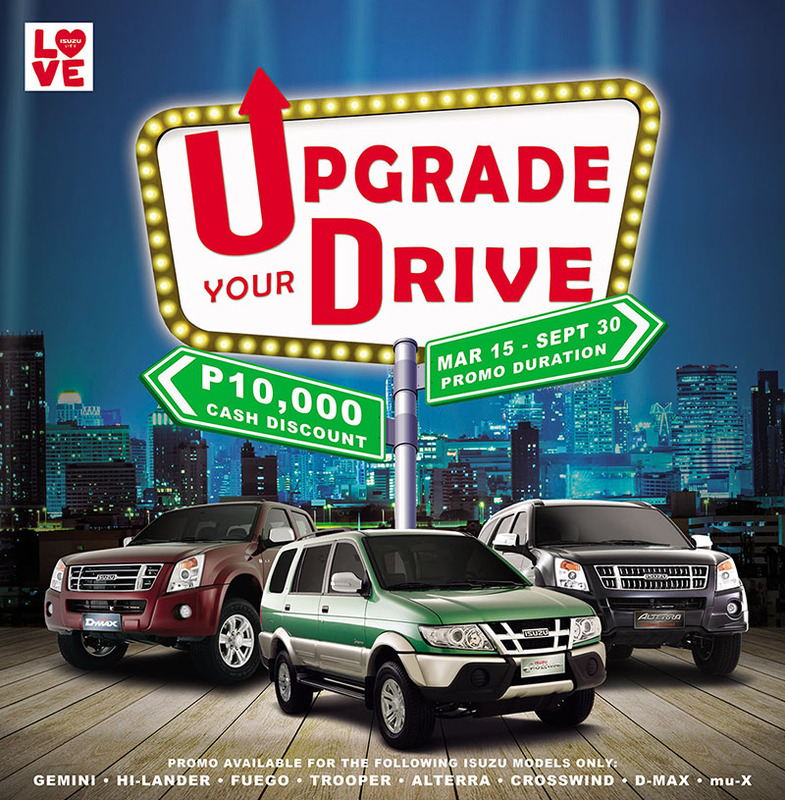 This Upgrade Your Drive Promo discount of P10.000 In on-top of any Isuzu existing promo or discount schemes of Isuzu Philippines Corporation. 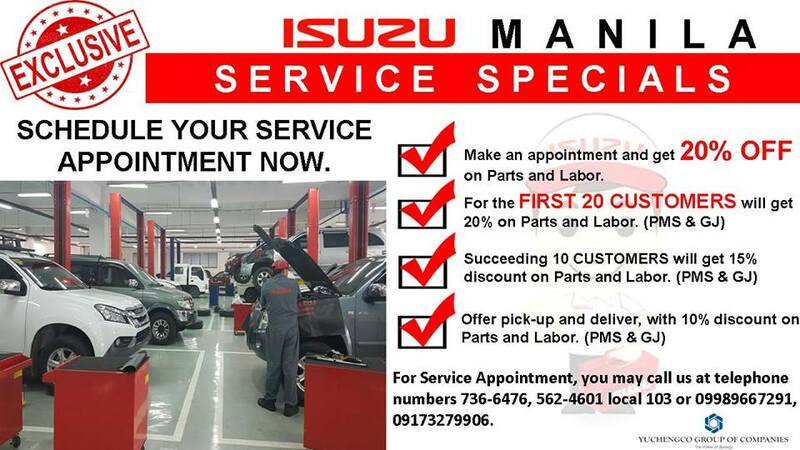 SCHEDULE YOUR SERVICE APPOINTMENT NOW.